Hoping for good weather and a chance to progress significantly in our flying, Andy and I headed off to Spain on Thermal Chasers with Andy Shaw of Green Dragons. The week started quite well (and then went rapidly downhill, more on that later), with good weather - Andy having done a good job under difficult circumstances to find us a gap in the weather systems sweeping across Europe. We stayed about an hour up the coast from Malaga, near Alumenecar, and did most of our flying from Lomo del Gatos above the town, landing on the beach. Overall I did five flights from this site, one flight from the "High site", also above Alumenecar, and one disastrous flight from Herradura, where I crashed into a tree, bringing my flying to an abrupt end on this holiday and doing a fairly good job of wrecking my canopy. For our big holiday of the summer, Jules and I decided to head off to southern Turkey to spend ten days walking along the Lycian way from Mt Olympus (Tahtali Dag) to Kas. The weather was very hot at the time we were there - our holiday coicided with a bit of a heat-wave across southern Europe and on some days we found ourselves walking in nearly 40 °C, and carrying quite a lot of water as there weren't any places to replenish en route. 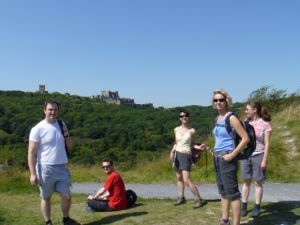 Overall we had a lovely time - the walking was spectacular, with beautiful landscape and scenery. The most pleasant surprises of the holiday were the quality of the food - lots of fresh fish and salads and the hospitality and friendliness of the Turkish people we met. All in all we'd thoroughly recommend this as a walking holiday, although the general advice was that the weather is a bit more accommodating in May, and the mountain flowers are in bloom at that time of year. After an easy flight & transfer to Mount Olympus Lodge we were greeted by a huge room and a dinner of lovely Sea Bass and excellent Dolmades (to Jules' delight). All in all it was a great start to the holiday - drinking superb local wine on the terrace overlooking the sea. The only drama was being woken up the night by very loud beetle in the night - and I do mean seriously loud - it actually had yours truly out of bed in shock trying to work out what was going on! To start the walk we took the cable car up to the top of Mt. Olympus where we saw some paragliders launching with tandems The walk starts right from the top and the waymarked path and was quite easy to follow which was good, because the instructions were a bit random at times. The scenery was beautiful and quite stark in places - particularly above the tree-line where bare loose rocks dominated with occassional small bushes. We stopped for lunch at the tree line, grateful to find some shade from the strong sun. The place we stopped had a lovely smell of sage, particularly strong when walking through the undergrowth. After lunch we carried on descending through pine woods eventually dropping down into Beycik village. It was quite a tough day walking - about 5 hours in total including about 40 minutes of breaks for the 9km. The conditions underfoot were difficult, with lots of loose scree which made the 240m asc / 1800m desc feel like a lot more. A good, challenging, and very picturesque walk, but perhaps a little tough for the first day. The only thing that could have made the day any better was another resounding chorus of "Live and Let Dry"
Although we would have like to have stayed longer, and possibly walked up & back down Mt Olympus (although only after a suitable rest, obviously) it was time to head off. We departed after a good breakfast and made our way towards Cirali, mostly following the contours of the hills, but dropping most of the morning. There were very good views back over Mt Olympus and panaromas over the coast and sea. After a brief scramble down through some bushes, and a couple of incidents with dogs, we stopped for lunch at Havuzbusi fish restaurant. We didn't actually sit in tables set in the river, but the fish was excellent nonetheless, and the flatbread which accompanied lunch was superb, all for only TL30! After lunch there was a bit of a climb up to the saddle overlooking Cirali, where we caught up with the Australian group. Excellent views, and an interesting descent down through the Chimera's breath - home of the original Olympic flame. We spent just shy of 8 hours walking, including a good break for lunch, for the 17.5 km, with 800m asc & 1600m desc, which made it a fairly tough day, on legs which were a bit tired from the day before. We were slightly disappointed with the welcome at Antolya Resort hotel, which could have been more friendly, and the 'terrace' overlooked the washing room - a bit of a come-down from the first two nights in Olympus Mountain Lodge, but perfectly clean and functional. We took a short walk to the beach for a beer before dinner and then collapsed into bed and slept for 9.5 hours. With our legs aching a bit we decided to chill out for the day. We did make it to a patiserie for lunch and to the beach for a lovely swim before dinner (where Jules lost her favourite earrings), and we spent a little while admiring the beautiful white mosque. With a long day ahead of us, and after an early start in an attempt to beat the heat of the day we set off from Cirali. The first part of the walk took us through the ancient city of Olympus, and then climbed up through the old necropolis, which was quite impressive in a small way. From there it was a fairly long and tough ascent for the first half of the day - about 700m quite steeply up, but with good views over Cirali and all the way back to Mt Olympus. We had lunch at the top of the pass, just down from the saddle before setting off mostly down hill on fairly good tracks to Adrasan. We were carrying quite a lot of water and provisions since this was the first of two days without any water en route, which is always a concern in nearly 40 °C temperatures! We arrived in Adrasan to a very warm welcome (and a well deserved beer) at Maviay Hotel having taken 5.5 hours to achieve the 15.5 km & 800m asc. & desc. For our rest day we decided (very spontaneously, no seriously, we had to run for the boat) to take a Boat Tour round the little bays. Being first on the boat (having run there) we got the best seats and proceeded to occupy them all day. We had a really great time, snorkelling & swimming in the bays and watching the coast go by, and best of all Jules didn't get sick. The highlight of the day was seeing a turtle fairly close to the boat, although we couldn't go swimming with it (seeing the turtle almost made up for not being allowed to swim under the arch). Lunch was superb fish cooked on the boat, and included a slice of one that was caught on the way there. 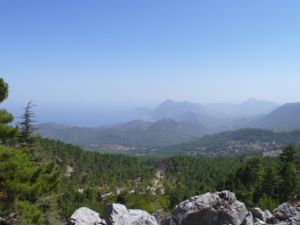 We set off fairly early from Adrasan in slightly cloudy conditions, which were quite welcome since the first part of the walk was uphill, through fairly sparse forest. We made good time up to the saddle/pass above Adrasan and from there followed the coast through pretty wild and remote countryside with beautiful views out to Sulu Ada island. We did meet a couple of other walkers (almost the first on the holiday) and saw lots of lizards and one small brown bird. The path continued with fairly steep ascents and descents along the coast to the peninsula and the lighthouse at Melanippe. From there it was a fairly easy walk along the (now flat) path and road to the pretty cove at Melanippe where we met Ismet and learnt some more Turkish on the drive up to Hoyran. 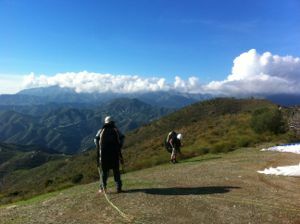 This was probably the hardest day of walking in the whole trip - it took us about 7.5 hours to do the 15km with 1000m asc. & desc and it was almost a scramble at times. After a tough day it was a real pleasure to be warmly greeted in the beautiful Hoyran Country House Hotel, where we enjoyed a wonderful room furnished in lovely old furniture with two balconies overlooking the grounds. We started the day with a lovely breakfast, with a great selection of home-made jams and preserves - including a rather good olive jam. Still slightly recovering from previous day, we spent most of the day by the pool, which resulted in slight sunburn for both of us! We ventured out in the early evening to visit the necropolis of Hoyran with very impressive Sarcophogai dated to around 500 BC (we're told) - very impressive, although Stuart needs to remember that Sarcoghophai in an ancient Necropolis are not boldering problems. Fuiste came with us as an excellent guide and we looked over Simena (the destination for the next day). We were very impressed with the hotel - beautifully done and it was a shame not to be staying here longer, and in particular we would have liked to do the walk down from Kayam. We finished off the evening sat on the balcony with a glass of wine listening to music from the phone. The short-ish walk to Simena started with a fairly steep downhill then flattened out to Simena. This was a relativley easy day, although it was quite warm in the sun, with not much shade and less breeze than other days. The 11.5 km (150m asc., 650m desc.) took us 4 hours, including a brief stop for lunch just outside Simena. The village itself was quite interesting geographically, perched below a significant castle taking up the whole brow of the hill, and no roads into the town - everything seemed to arrive by boat. We had a lovely (huge) room in the hotel, with one balcony overlooking the harbour and a covered patio looking west - definitely the best views from a hotel this holiday. In the afternoon we went for kayaking around the small bay & part of the sunken city. It was a bit bump & scrape in places, and Jules was very courageous in the crashing waves and raging sea. For our day off we walked the 40 minutes round the coast to go to the market there. We managed to buy some new earrings for Jules and had a good fish lunch on the waterfront whilst Jules tried to take a video of the crabs feeding in the surf. Ankh Pension kindly picked us up by water taxi and then took us on a private tour of the sunken city and on to swim in the bay at Tahagesh. We travelled back to Simena under sail, which was quite eventful near the shore. 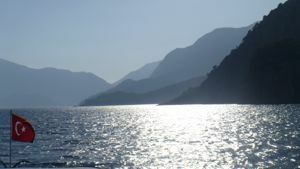 For our last day of walking, we left Simena via water taxi and took a car transfer to Cukurbag then had a fairly short walk down to Kas - the 6.5 km (550m desc. ) took us about 2hrs 15, and was fairly easy except the final descent into Kas which was very steep. After a wander around town we took a taxi to Villa Tamara to relax by the pool and swim in the sea for the last day and a half. The hotel was lovely - friendly and very relaxed and a good way to finish off a great holiday - snorkelling in the sea and enjoying a pina colada by the pool. Heading out on a long-planned two day walk along the south coast, we left Dover in beautiful sunshine and struck out for the whilte cliffs and the Saxon Shore Way. 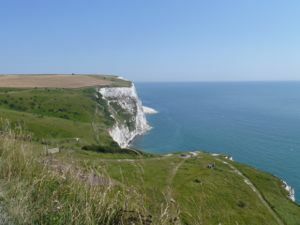 After a brief detour through town we found the sea and then headed East up a steep-ish climb to top of the white cliffs – great by way of a warmer-uperer!. After pausing for a moment to get our breath back (and to admire the beauty of an international port) we followed the Saxon shore way along the cliff edge. We stopped at the South Foreland Lighthouse for a mid-morning ice-cream, and then for lunch in the Coastguards pub in St. Margarets at Cliffe – the fish & chips was quite good but there was quite a long wait because they were very busy and a bit disorganised. After a brief shower we headed out to Dunkerleys for a quick pint then on for a lovely Thai meal in Bangkok House before collapsing in bed happy but tired. After a rather good breakfast we headed out to to continue on to Ramsgate, starting out with an easy stroll along the waterfront from Deal. The houses quickly gave way to a golf course as we continued along the sea front. The weather wasn't quite a good as the previous day and Andy was very grateful to have his waterproof jacket with him when the downpour started. Stopped for a very good lunch at the “No Name Bistro” in No Name Street in Sandwich, at which yours truly had to have the Tartiflette in memory of lots of skiing lunches. After lunch the route took a detour through a random field (not entirely the fault of the navigator) to get to the cycle path and then followed this alongside the A256, which wasn't so much fun. By early afternoon there was some grumbling about stopping for a cream tea, but we ended up sat on our backpacks in a nature reserve near Pegwell Bay Country Park. From there it was just a stroll around Ramsgate, with a surprisingly good meal in Miles on the waterfront (once we found something on the menu that they hadn’t run out of). All in all it was a less pleasant day than Dover to Deal, but not too bad. Grade 3. Making good on a long-promised trip away, we headed down to the Cotswolds for a long weekend, to enjoy the best of the Great British Summer. We stayed in the Whiteacres B&B in Broadway, and were very impressed - once again TripAdvisor coming good on a recommendation. After a fairly long, but otherwise quite easy drive out of town, we arrived early afternoon on Friday and almost immediately headed off to have a crack at Broadway circular (route #2 from Cotswolds Classic Walks - 4.5 miles easy/moderate taking about 2 hours). The weather wasn't that great, with steady rain for most of the time which was a pity since there would have been good views. We declined to go up the Broadway tower, but did have a cup of tea and a chat in the dry. Getting up fairly proptly on Saturday we headed off to Slad (route #21 from Cotswolds Classic Walks - 7.5 miles moderate/strenuous, which took us 4hrs 20) . The route was a bit of a disappointment - the views were not particularly good through the trees and it was a long driver to get there. The route was quite muddy with the recent rain and in a couple of places the navigation was quite difficult. 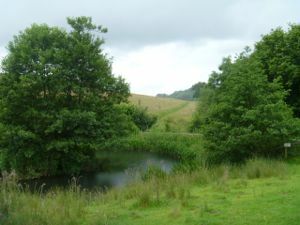 On Sunday we drove a short distance to Winchcombe to have a go at route #6 (Winchcombe ciricular) which was a very pleasant 10 mile moderate graded route, which finished up in the grounds of Studley Castle. 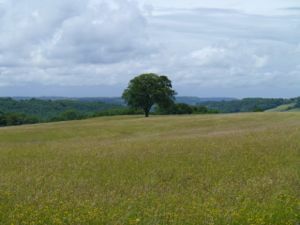 In the afternoon we headed back to Broadway and after recharging in Foxy Brown's cafe we headed out for one last walk Buckland #3 (2.75 miles, mostly easy navigation) which was a good walk with great views but very muddy and we were a bit tired by the end. Coffee & packed lunch from Foxy's - both excellent and reasonably priced. Don't eat at the Brasserie in Lygon Arms - it's actually a grill, rather than a restaurant, and we weren't very impressed with food. We departed on Friday morning with the tides out of Falmouth - heading across the bay of Biscay to La Coruna in Northern Spain. We left under engine becuase there wasn't enough wind, but we started sailing soon after midday. 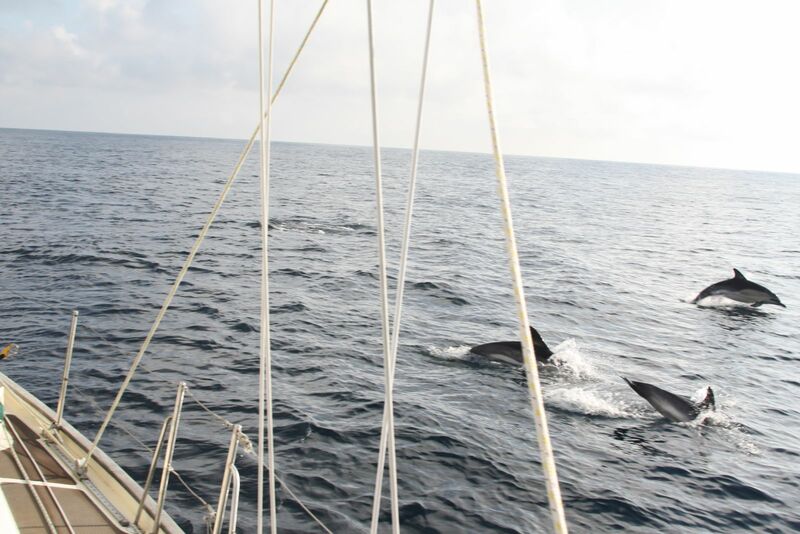 We had pretty good winds for most of the trip, and managed to sail for about 3 days out of the 4 in all. The winds dropped on the 3rd night and and we had to use the engines for the last 60 miles, but otherwise were pretty much perfect for most of the time. We only had to change the sails once - as the wind went from westerly to South easterly. Unfortunately I got sick about 24 hours into the trip, and wasn't in great shape for about 24 hours. Aside from that the watch sailing went quite well - everyone got into the rhythm without any particular challenges. We arrived La Coruna at 5:45am - 15 minutes short of 4 days. I almost slept throught he arrival - missed my alarm going off at 5am having come off watch at 2. After the usual arrival celebrations (Rum and Black - you can have too much of a good thing) and a shower and change of clothes went into A Coruna to enjoy the town. 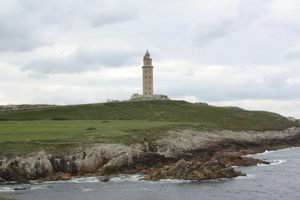 We spent a total of two days in A Coruna, which is a very pleasant old port town. In general the city is very well maintained, with a beautiful historic old town and plenty of cafes to stop and enjoy a cortado or a plate of tapas. One highlight of the time there was a walk around the peninsula, taking in the Torro De Hercules and the sculpture park. We arrrived and headed up Orrest Head in Windermere for a brief stretch of the legs after the journey. We started out following the route from the local tourist information centre, but soon made up our own way back to town. We had a good bowl of soup in "The Lighthouse", which hadn't changed much since the last time we were here! After a brief rest & relax we wandered down to the lake before heading back to the train station to pick up the hire car. We had dinner in Jintana restaurant in Ambleside, which was pretty good except for a bit of a wait for a table. With the weather forecast fairly good, we decided to have a crack at Fairfields Horseshoe which is easily accessible from Ambleside. We did the route as per the directions in "Great Mountain Days in the Lake District; #39", which is anti-clockwise, for those familiar with the route. The navigation was pretty easy, with a well trodden path to follow, and good visibility. We got hailed on a couple of times, and we were grateful to be carrying plenty of warm clothes (at the advice of a few people) when we got to the top. All in the 13 miles / 1050 m VG took us 6hrs 40 and we'd grade this about 10/10 for an "A" walk. After a well earned (and very good) pint we went for pretty bad fish & chips at the Walnut in Ambleside - which I'd avoid, even at the price of going hungry. With legs slightly tired from the previous day we headed off to Keswick to try route #4 from "Day Walks in the Lake District" - Derwent Water Circular. 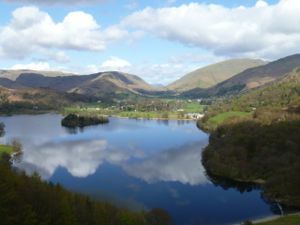 We also decided to throw in a detour up Cats Bells (on a personal recommendation), which rewarded with some lovely views across the lake and surrounds. The day turned out to be a bit tougher than we'd planned for, at about 11 miles / 450m VG for the day, but we took it pretty steadily at 4hrs 30. We took a sandwich from "The Lakelands Sandwich and Pie Shop" in Keswick for the route, which was excellent. For dinner we went to Lucy's on a plate in Ambleside which was a nice restaurant - Jules was very pleased with her duck, I was slightly less won over with my chicken Parmesan, but we'd probably go back. Slightly depressed about leaving the Lakes, we headed off for one final route around Loughrigg Fells, above Ambleside. We tried to follow route #13 in "Day Walks in the Lake District", but a slight [cough] navigational miscalculation [cough] took us slightly off course, and we ended up doing a detour round Lily Tarn as well. After getting ourselves back on track we continued on the 7.5 miles of pleasant rolling fells in beautful early-spring colours which took us 3hrs 15 minutes all in. We managed not to have tea in Rydall hall, owing to the slight queue and the incredibly slow service - goodness knows how they cope in summer! All in all it was a very pleasant end to a lovely holiday. Overall it was a pretty successful holiday, with the weather as good as we could have hoped (which makes all the difference). Amboseli Lodge in Ambleside was a real find - TripAdvisor coming up with a good recomendation once again. Enterprise rent-a-car in Kendal also did a cracking job, and managed to get us a car for the four days despite me having made the reservation at the wrong depot! The combination of train for the long distance journey and then renting a car for the local journeys also proved to be a good choice, with low stress and effort combined with flexibility when it was needed. 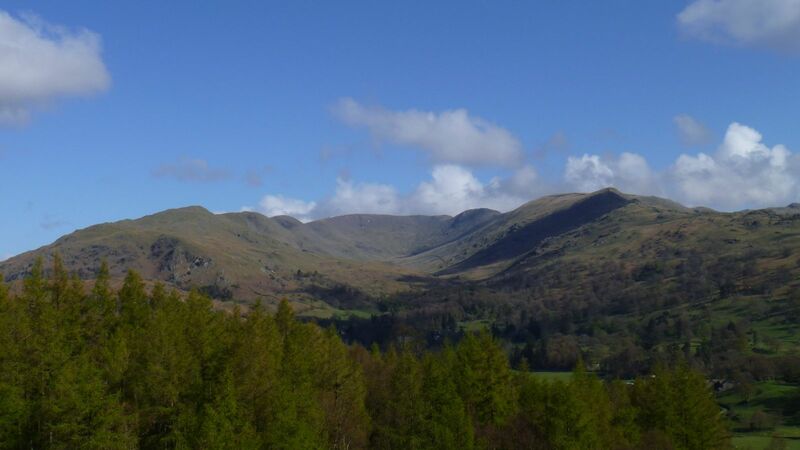 We enjoyed staying in Ambleside, which turned out to be a really good combination of convenient-for-town, with a good selection of pubs and restaurants and convenient-for-the-outdoors with good walks out of town and centrally located. Many thanks to Kev and Vanessa for doing a sterling job of organizing two weeks of powder-hunting in Utah. We spent the first week in two lovely chalets in Sandy, on the way up to Snowbird/Alta. 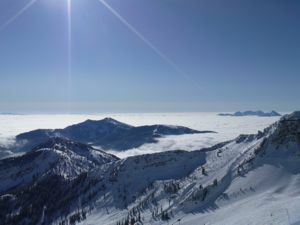 We spent the first week exploring the resorts around the area, and the definite favourite (for the skiers) was Alta, closely followed by Brighton and Solitude. Our least favourite resort was Snowbird, mostly because it felt a bit busy and commercialized. As per the first week we spent some time exploring the local, and not so local resorts. We had some great fun in Park City and Deer Valley, but the favourite was Snowbasin, where we managed to find some great powder in Sister's Bowl. Our least favourite resort was Canyons, which we found a overpriced and badly laid out with "Sidewinder" a particular low-point. It total we managed 11 out of the possible 12 days skiing, and we managed to find lots of fresh snow & powder. The snow wasn't as good as some years (according to the locals) but it was still very good, and a great time was had by all. After a slightly slow start (owing to Delta losing Bei's luggage and having to make an unanticipated trip to the rental shop to get kitted out) - we headed off. It snowed for most of the day, which made the world of difference to the conditions on the slopes, according to the people who'd skied the day before. We headed up to Solitude to avoid the queues of people heading up to Snowbird, which was lovely and quiet and with a good range of slopes. We started off around Eagle Express lift, and had a slightly eventful run down Parachute (legs and technique not quite good enough that early in the holiday). We then spent most of the afternoon under Summit chair, trying to remember how it all works with 6' long feet. Great day for skiing - plenty of snow and the sun was shining for most of the day. We headed back up to Solitude having had so much fun the previous day. I had my first crack at Honeycomb Canyon - which was great fun, and Andy and I went back down a variation on Middle Slope, which was good, but unfortunately left me with a slightly wrenched right leg. For the afternoon we took things a bit easier, and went on some flat cruises around Eagle Express. Great day skiing in Alta for Bei, Susanna, Andy, Jan and I. Snow conditions were great, and there were hardly any people around. We started off up Supreme chair, doing the selection of blacks off to the right (visibility was a little too bad to try the bowl to the left). After a few great runs we headed over to Sugarloaf lift, to have a crack at Extrovert, Keyhole Gulch and Glory Gulch which we throughly enjoyed. After lunch we tried to head over to Collins Lift, but got distracted by some excellent powder dropping off Collins Return. We finally made it round to have a great blast down Main Street, which gave us some very tempting views of West Rustler. We went back up Collins lift, but ended up taking the high traverse all the way round into somewhere near Eddies High Nowhere, which takes the prize for the run of the day, with wide open, steep snow dropping down into powder fields. Saw a porcupine on the way down at the end of the day. Headed up to Snowbird for the day. 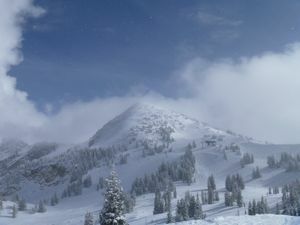 We started in Mineral Basin, doing a few runs up and down Mineral Basin Express, dropping off "Path to Paradise". We did "Ski Patrol Gully" off Baldy Express, which was fine for most of the way, but with quite a tasty exit. On the way down to lunch we dropped off "Road to Provo" down "Shireen", which takes the run of the day with great snow, and technical enough to be challenging without being overly intimidating. After a long and lazy lunch (with some vegetables, and not deep-fried for a change) we headed up Peruvian Express for a couple of runs down Primrose Path and Chips Face before heading over to Gadzoom for a quick blast down Bassackwards before heading home. On balance we didn't enjoy Snowbird as much as some of the other resorts, it had a few too many cat-tracks for the boarders, and some of the pistes were a little hardpacked and steep, but it was a good day overall. Headed back to Alta for another go at the skiing only slopes. Conditions were still good, but a little tracked out and some sunny slopes a bit re-frozen and lumpy. We spent most of the day on Supreme and Sugarloaf lifts, taking random routes down wherever we found good snow. The best snow we found was down in East Greeley, especially the drop down into Glory Gulch, and we also had good run playing around in the trees. All in all it was a fairly relaxed day - we were all feeling our legs on the 6th day skiing. For our first day in the Park City area we headed up to "Canyons Resort". It hadn't snowed for about a week, and the resort is quite low down and was quite busy with President's Weekend, all of which meant that the runs were pretty tracked out and not very pleasant. Also the layout of the resort meant that a lot of people funneled down a small number of runs, so they got pretty hardpacked and icy. Lastly the price of the lift tickets was quite a lot more than the other resorts around, and the skiing didn't seem to justify the price. We spent the morning around "Tombstone" lift, and managed to find some OK snow in Paradise Bowl. In the afternoon (after failing to get back down to the base for lunch - it's two lifts from Tombstone and includes "Sidewinder" which was treacherous in those conditions) we headed over to Sun Lodge and Super Condor Express. The conditions here were a little better, but we didn't fancy any of the tasty runs so spent the afternoon cruising. All in all we didn't have our best day skiing and we probably wouldn't go back to this resort with so many others about. Long-ish drive to SnowBasin, with much confusion from the TomTom. Quite busy (President's day). Headed over to Strawberry Express Gondola and spent most of the morning in the great powder in Sister's Bowl, and even managed to put our own tracks down. Got some great videos, including a whole series of boarder stacks. For lunch we headed over to Allen Peak, and then headed up to the peak before coming down the bowl between 'Snow King' and 'Easter Bowl'. The snow wasn't so good on this side - refrozen and crunchy, but it was good fun coming down, with plenty of amusing moments. Slightly dreading the day after Canyons we headed up to Park City for the day. To our pleasant surprise, Park City was much more reasonably priced, was much better laid out and had some decent snow to be found up McConkey's Bowl. We spent most of the morning under McConkeys lift, and had some great fun in the trees at the bottom of the bowl. After a late lunch, Andy and I headed up Jupiter Bowl for some crazy moguls before heading back down and spending some time cruising under Thaynes & Motherlode lifts before finishing up for the day. All of us were a bit tired as we headed up to Deer Valley, and the lack of recent snow and the relatively high temperatures (about zero) wasn't particularly inspiring either. We were pleasantly surprised by the conditions up the mountain - the snow was in fairly good condition up higher and perfectly good enough for the kind of cruising that we were doing. We did a couple of runs under Red Cloud lift before heading over to Empire (discovering the hard way that the snow in Empire Bowl wasn't nearly as nice as it looked) . After a not-so-hard-earned lunch in Empire Canyon Lodge we took the long way home, trying a couple of the runs down off Bald Mountain. All in all the day was fine, it wasn't our favourite mountain, but it was pretty much what we were looking for. Fantastic day up Park City,with enough recent snow to make Jupiter & environs a real treat. We spent the morning (quite a long morning, to be honest) on 'Scott's bowl', 'Rhino' and in the trees around 'Portuguese Gap'. The powder was deep, the sun was shining - it was all good, and a great day to finish on.